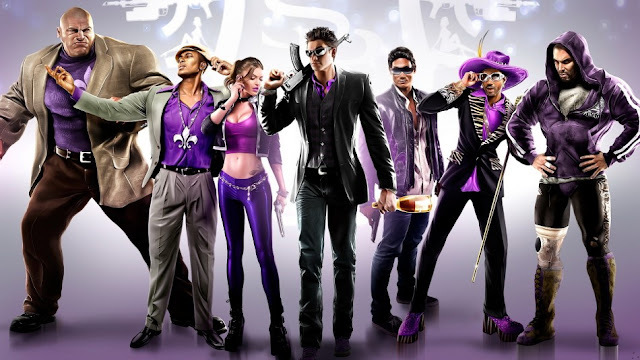 I don’t think that audio was ever the main concern for Saints Row. There are a great amount of glitches and other audio related problems. Let me first start off by saying that this is one of the few games where I don’t mind it as much. This game is meant to be stupid, funny, and entertaining. I enjoyed it! So take the rest of this review as you will. Ever since Saint’s Row The Third, there has been as issue that I have noticed with lagging and/or late responding audio. Many of these can be found when you get in a car. Every now and then when I get in a car, I won’t hear the engine until I drive it for a bit. Another issue is the horn. I can never seem to get the horn to actually sound when I click on the correct joystick. It will usually sound a few seconds after I press the stick, if at all. Both the horns and the engines of the various cars are all too quiet in my opinion. I’m not saying I need to hear myself driving a NASCAR racecar, but a little more than a soft hum would be nice. Should I mention those seemingly infinite amount of gears changing? So when you’re in a car, you like to listen to music right? Well, while the music selection of Saint’s Row IV was satisfying, it has to be some of the poorest compression I have heard. The music has been brutally crunched to a low bit rate. If it seems like I’m ripping this game’s audio apart, it’s because I am. The game was so stupid and entertaining (both in a good way), that I had to find some fault with it, and that is surely the audio. So, are there any good parts about the audio? Sure. The dialogue for the main characters was very well recorded and mixed well. The weapons all had varying sounds. While they were mixed a little low for some, they were good overall. The superpower sounds were quite good, and well mixed also. Overall audio wise, the game was not that great. However, you have to remember what game we are talking about here: Saint’s Row IV. This game can kind of get away with it. While I still cringe at the bad audio, I quickly forget about it when I bash someone across the map with a lizard tail.